Australia is a huge and varied continent, so it’s important to do some research before you book your trip. When is the best time to visit? Which sights do you want to see most? Here are some tips to help you plan the best possible trip Down Under. Australia is a huge country with several different climate zones. Since Australia is in the southern hemisphere, the seasons are opposite to the US. That means if you’re planning to take a summer vacation to Australia, it will actually be winter there, but if you go at Christmas it will be summertime! These seasons are most distinct in the southern part of Australia. In the northern part – including the Outback – the weather is warm all year round. The year is classified only by two “seasons” – warm and dry (May through October) and hot and wet (November through April). As a result, the best time to visit Australia in general will not be the best time to visit the Outback, so you really need to decide what you want to see before you book. In the Outback, although it feels very warm during the day, the temperatures drop substantially at night, so definitely bring along a warm jacket. The weather can also be very unpredictable. It might not rain the entire time you’re there, or there might be torrential downpours that lead to flooding. A small plastic rain poncho is a great item to carry along. One thing you don’t need to worry about is currency. The Australian dollar is roughly equivalent to the US dollar, so it will be easy to keep track of how much you’re spending. Your credit cards will be accepted, and you will find ATMs everywhere, even throughout the Outback. Travelers checks from the US are also widely accepted, and can be exchanged at any local bank branch. Ayers Rock, also known by its Aboriginal name Uluru, is the site all visitors to the Australian Outback have at the top of their list. 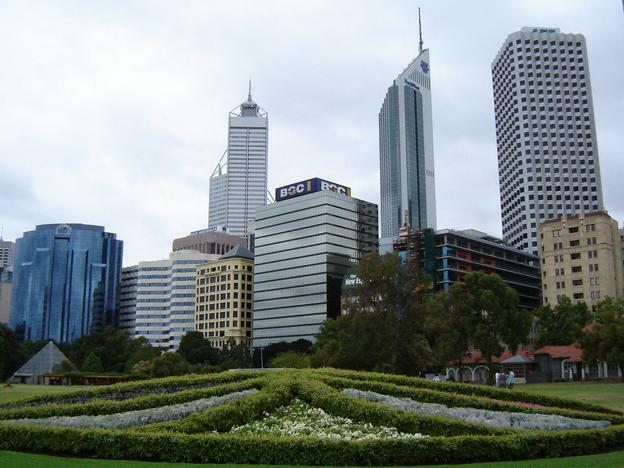 It’s located quite close to the actual geographic center of the Australian continent. This sandstone mountain rises 862 meters above sea level, and is about 1,140 feet tall. There is a one mile track to hike to the peak, which involves a strenuous climb and includes some treacherous sections. The path is closed by the park if there are strong winds or extremely high temperatures. 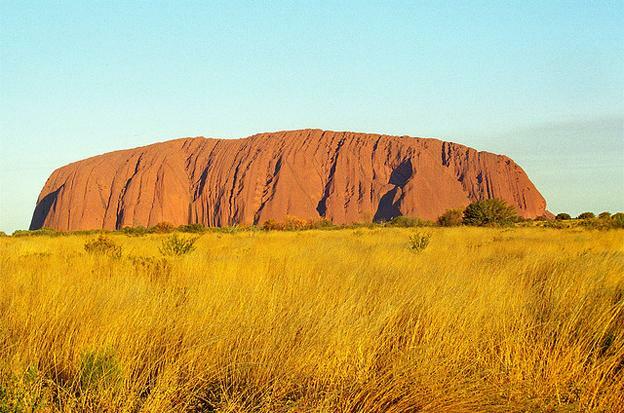 You should be aware that climbing Uluru, although allowed, is controversial because the Aboriginal owners discourage it. The route passes through an area of spiritual significance that is only used on special occasions. If you opt not to climb, the view is amazing from the ground as the rock changes color with the rising or setting sun. You could also book a helicopter tour to experience Uluru from above. Kings Canyon in Watarrka National Park is located 310 km from Ayers Rock. It consists of a massive gorge, with red sandstone walls rising more than 100 meters in the air, forming a plateau and many unusual rock formations. Many visitors to the Outback list the Rim Walk as the highlight of their entire trip, which takes three to four hours to hike. Along the trail there is also a sheltered waterhole known as, “The Garden of Eden.” This park also offers helicopter, ATV, and even camel-back tours if you don’t want to hike. Kakadu National Park is regarded as Australia’s most famous national park, but any visitors leave disappointed. This is because you’ll need more than one day to get beyond the touristy areas and really experience its hidden beauty. If you’re a bird fancier, be sure to spend some time at the Mamukala Wetlands, where many species of birds congregate. If you’re a history buff, take a tour of the Ranger Uranium Mine. Experience the park from the water while learning more about Aboriginal art and culture by taking a cruise up the East Alligator River with an Aboriginal tour guide. These attractions are just the tip of the iceberg. Consider taking a small ATV tour of the region, or go bush camping. There are also special sites within the park that you need a permit to access, and only a limited number of tourists are allowed into, such as Koolpin Gorge. These sites enable you to escape the throng of tourists and experience the raw, natural beauty of the Outback in serenity. Whatever you choose to do on your Outback adventure, be sure to bring your camera and plenty of memory cards. The Outback is teeming with kangaroos, colorful birds, strange lizards, and yes – crocodiles. Your experience Down Under will be something you’ll want to share with everyone! Heather Johnson works for an Australian travel agent planing the best honeymoon trips in the southern hemisphere. Learn all about the best honeymoon destinations today!